Upon first taking office in 1999, the New Democrats cut tuition fees by 10 per cent and froze increases for nearly a decade – bringing the fees Manitoba students pay among the lowest nationally – before thawing the freeze and limiting tuition increases to the rate of inflation in 2009. The NDP also eliminated interest from the provincial portion of student loans beginning in 2015. The University of Manitoba trimmed its 2015-16 operating budget by four per cent and has signalled a further four per cent is on the chopping block this year. David Barnard, president of the U of M, has said tuition fees and provincial operating grants haven’t kept up with demand and has called on increasing Manitoba tuition to a level more in line with the national average. The Manitoban sat down with Wayne Ewasko, who is the MLA for Lac du Bonnet as well as the PC critic for education and advanced learning and a U of M alumnus, to discuss Tory priorities on the post-secondary education file, including tuition fees and student support packages. 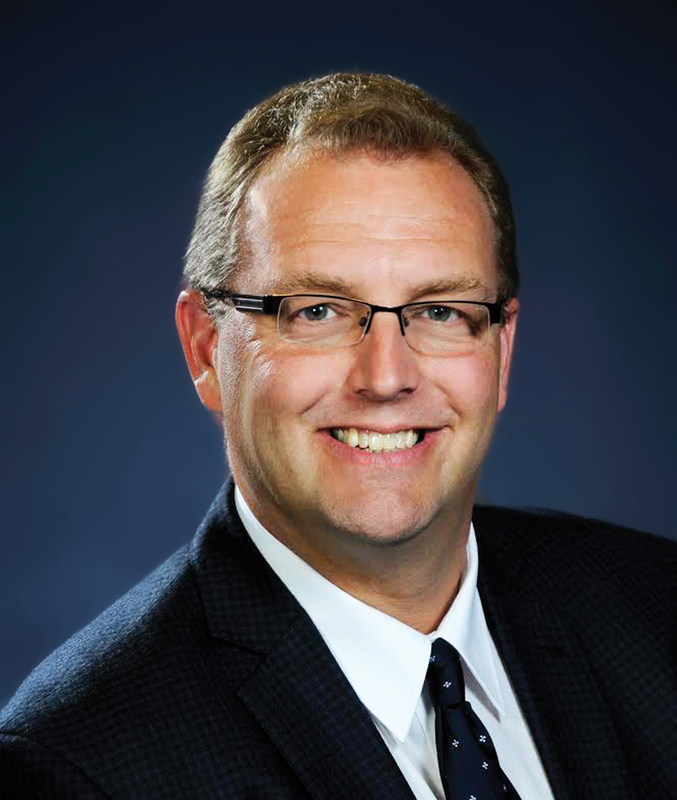 Ewasko, a teacher in Manitoba for 17 years, also took the opportunity to respond to criticisms levelled against him and the PC party by NDP Education Minister James Allum in an interview with the Manitoban two weeks ago. Allum charged the election of a PC government would result in higher costs to students and less provincial support for post-secondary institutions, among other criticisms. MANITOBAN: The University of Manitoba is preparing for a second round of four per cent operating budget cuts and president David Barnard has said tuition fees in Manitoba haven’t kept up with the university’s needs. Tuition fees in Manitoba are among the bottom three nationally and increases are capped at inflation. Where do you stand on tuition fees? EWASKO: That is something that we’re going to be looking at. I have chatted with Michael Barkman, [chairperson] from the Canadian Federation of Students [Manitoba chapter], and one of their two main concerns – not necessarily concerns, but things that they are hoping for – is they want to make sure that students’ accessibility to post-secondary education is affordable. But at the same time, the other thing that he mentioned is he wants to see consistent funding to post-secondary institutions. So those two things, you have to have those conversations. I could promise you the moon and go and vote-buy, just like the minister of education is doing and the premier, or I can tell you we’re going to take a very responsible approach to this. We’re going to take a look once we get into government April 20, and take a look at how deep the hole is. We already know it’s bad […] We need to take a good look at that and have conversations about how do we see this moving forward. M: Do you think easing the tether between inflation and tuition fees, allowing them to increase, would help alleviate some of the concerns universities have in terms of meeting their budget requirements? E: The numbers that we’ve heard – and of course the minister and the department wouldn’t share these figures – but the numbers that we’ve heard is that if you bring it up to the national average, which would be close to where Saskatchewan is, you would bring in $40-60 million more revenue into the post-secondary institutions. Now, again, those are conversations that will have to happen and we will have to bring everybody into the fold. Because, again, you want to make sure that post-secondary education is accessible to everybody so you have to make sure that those conditions are there and, at the same time, maintain the quality. The minister of education and the premier, when they went door-knocking in 2011, promised the universities five, five, and five [per cent increases in government grants between 2011-2013]. They broke that promise. They went door-to-door knocking and said “we’re not going to raise taxes.” They broke that promise. M: To go back to support packages for students, 2015 is the first year that the Manitoba portion of student loans are interest-free. Will that continue under a PC government? E: It was an interesting announcement by the minister. Interest-free student loans. So, that again, is something, much like the tuition increases or anything along those lines, that we’re going to be having conversations about once we get in. We have looked at those interest rates. We did, about a year and a half ago, talk about interest-free loans to see if there were various different levels in how you could incorporate that to make it a little bit easier on students once they got out into the workforce. M: As far as the bursary plan, is there anything you can tell me toward what that might look like under a Progressive Conservative government? Or is that going to wait until the election is underway? E: I think the little bit that I can tell you is that it’s going to increase access to more people that maybe felt that post-secondary education – whether it’s at the university or at the college level – was not attainable to them. M: Minister Allum called the PC party and a PC government authoritarian in the way it would approach post-secondary concerns. How do you respond to that? E: Isn’t that the pot calling the kettle black, when he would say something like that? And I don’t want to get into total personal attacks on the minister or even the premier. Let’s just go on the words and the actions. What’s happened here? On the one hand, he’s saying that we’re authoritarian but yet he’s the minister who squashed COPSE, the Council on Post-Secondary Education, and brought it right into the department. He is the one that has gone ahead and made various bills and laws that have basically given the absolute, final decision to the minister. He is the one that, in your interview, said in regards to Aboriginal education, that “there was a demand from the student community that this is something that the university needed to do and if that same demand happens at the University of Manitoba, one would expect that they would follow suit.” This is his mentality. This is the NDP government’s, the Selinger government’s, mentality: if you demand it, if you speak loud enough, you should get it. This is their thought process. As opposed to actually sitting down with the very people that have a stake in this – students, professors, teachers, instructors, parents. Collaboration. M: On the indigenous education issue, the U of W has the mandatory indigenous credit requirement. The U of M is currently in discussions about how to meet its own goals on that front: whether it’s going to be a credit requirement or more integration into existing curriculum. You have said before that you want to see those issues addressed with a greater emphasis in grades K through 12. Where do you stand now? What do you think is the most appropriate way to address indigenous education? E: I think we need, not to take a political word, but a balanced approach to it. The K-12 system, I was involved in the Aboriginal education committee for Sunrise school division for six years. I saw a lot of great ideas being promoted from within the department, within the curriculum branch. But what I did find, once I got on that committee, was that nobody ever made sure that it was happening. So there’s a lot of great documents out there, a lot of good educational tools. The treaty commissioner, the curriculum that’s going to be coming out in regards to teaching about treaties, it’s going to be a lot of good stuff. We need to make sure that is getting taught. So then you move on to post-secondary institutions, specifically universities – you mentioned U of W, that’s a good initiative. [At] the University of Manitoba, off the top of my head, I don’t know how many courses are offered that already have indigenous education incorporated into them but that’s part of the conversation as well. How many students are taking courses already that have an Aboriginal perspective or an indigenous component? Is this even something that needs to be mandated? The minister is all about top-down, “thou shalt.” Well, I don’t think those conversations necessarily have happened […] These post-secondary institutions have their own cultures within them and so they need to adapt and I trust what a lot of these leaders within these institutions are able to do. 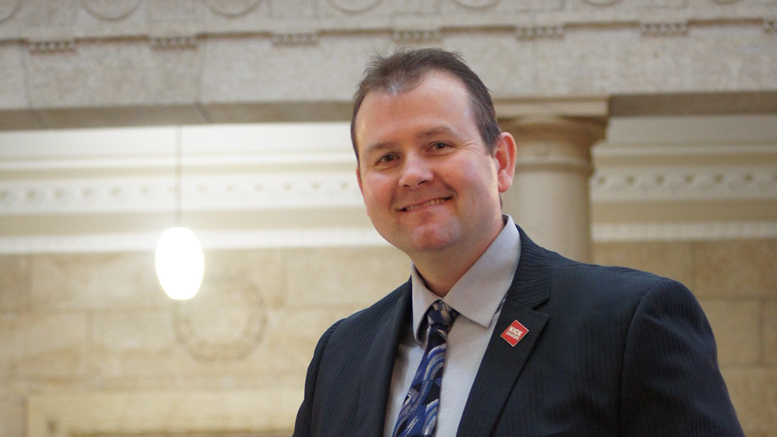 M: In an interview with the Manitoban in February, the minister of education and advanced learning James Allum told us that a Progressive Conservative government would not support the U of M Front and Centre fundraising campaign, which aims to raise $500 million. The NDP government has pledged $150 million to the campaign over a seven-year timeframe. The minister said, “Ewasko has made it quite clear that he doesn’t support the Front and Centre campaign and they would not have invested in it the way that we did.” Is that correct? E: I’d like somebody to do a fact check and see where I ever said that we weren’t in favour of the Front and Centre campaign. The day that it was announced […] was the homecoming dinner. In fact, I was the only MLA at the homecoming dinner at the University of Manitoba. I’m an alumnus. This amount of money that has been promised by the minister, it’s not like he showed up with a $150-million cheque and handed it over to the University of Manitoba and then it showed up on their budget as a $150-million minus on the books. That’s not what happened. Now the contributions: this is where the minister, if he was up front – and centre, no pun intended – with the whole $150 million, what he should have said is that $150 million is what the University of Manitoba is hoping that will be coming from the provincial government. Does that mean that all of a sudden it’s a $150-million cheque that is just turned over? No. For the minister to say in your interview with him that we are against the Front and Centre campaign, that couldn’t be farther from the truth. We actually applaud the university for stepping up and getting out there and doing some of these things.